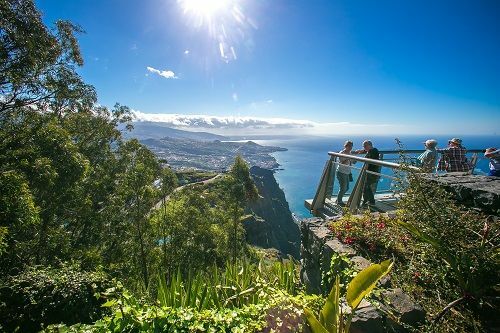 Traveling to Madeira will not disappoint anyone and that’s a promise! 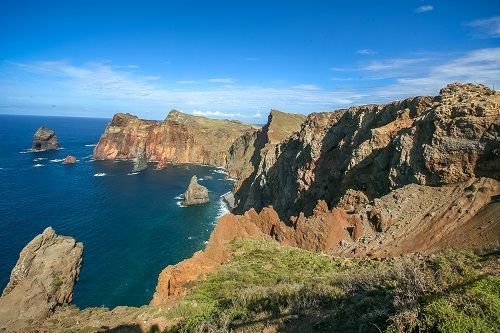 If you like nature, hiking and good food, Madeira will truly be your perfect choice. But what are really the best Madeira tourist attractions, which you should not miss when traveling there? We visited Madeira in May, rented a car and explore the island, which offered so many amazing tourist attractions, we knew we will be back for more. The first and often the only reason for traveling to Madeira for many, is its beautiful nature. Volcanic origin gives Madeira unique image, with vivid green color and exuberant look. Nature is for sure one of the main and best Madeira tourist attractions. Nature and hiking paths go hand in hand in Madeira. 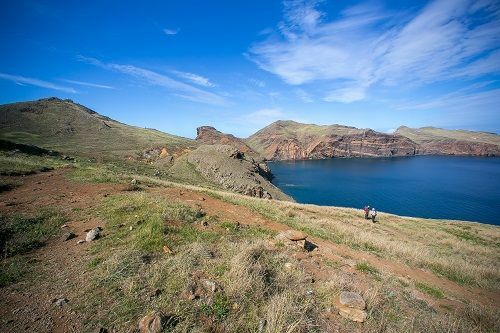 The most stunning hiking paths are surrounded with the most beautiful nature and that is why for many hiking is one of the best Madeira tourist attractions. Oh my, the views in Madeira are out of this world. It will not go a day by for not being impressed over numerous dramatic lookouts. If you ask us, the most beautiful views are on the Eastern side of the island – Ponta de Sao Laurenco. Right at the end of the long cape stands a lighthouse, which you can reach by foot. 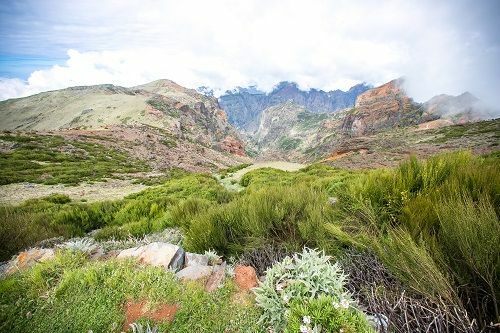 Gorgeous hiking trail if you are in the mood for hiking and with that also one of the most stunning Madeira tourist attractions! If you are not really for hiking to the eastern lighthouse, you still have one more left. Head up to the western side of the island and enjoy the views of the lighthouse and the cliffs. They are not so dramatic like the eastern ones, but they are still worth checking out. Madeira is full of steep cliffs, but there is only one, which attracts crowds of tourists every day – Skywalk Cobo Girao. The Cobo Girao is the second highest cliff in the world from which you will get stunning views over southern island coast and that is also why we had no doubts putting it on our best Madeira tourist attractions list. It is really funny sometimes, how unusual things stick to your mind. 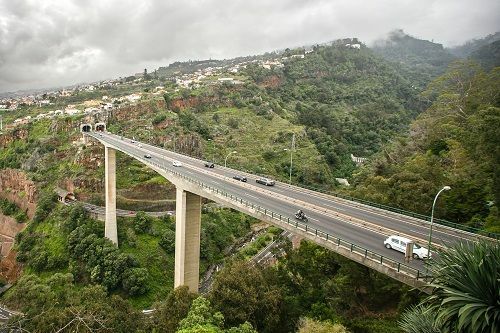 One of the most extraordinary Madeira tourist attractions are its roads, bridges and tunnels. Amazing infrastructure! 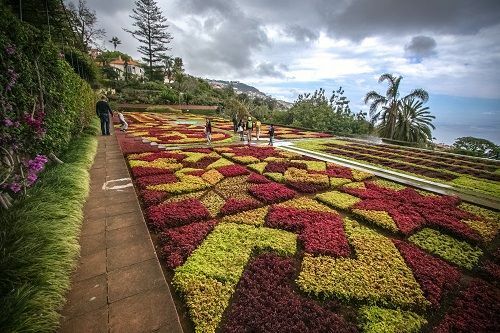 One of our favorite Madeira tourist attractions was the fact, that this island grows fruits that normally comes from Asia, Africa and even South and Central America. 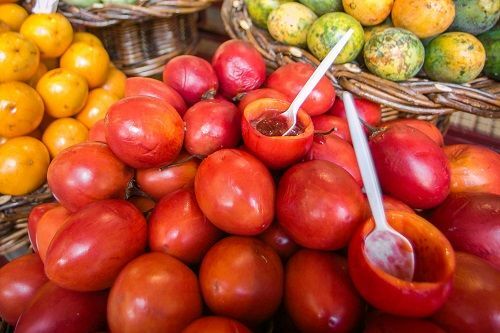 It did not go a day by that we would not feast with sweet mangos, juicy papayas, freshly picked bananas and unique passion fruit. Yummy! If you are not really keen on fruit, don’t give up on Madeira too fast. Madeira still has lots to offer. There is loads of vegetables, seafood and meat, which is amazing. 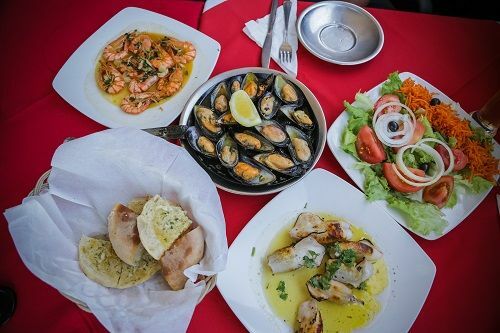 If you are looking for local and traditional Madeira food, check out what not to miss here. Not so long ago, Madeira’s main industry was whale hunting. 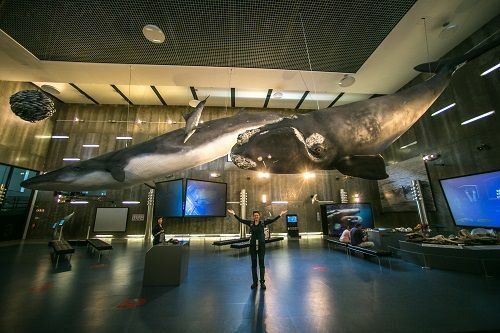 Now whaling is strictly forbidden, but you can find everything about whaling and whales in a really interesting thematic museum in a town Canical. (Entrance fee: 10€/pp) We loved it and if you are traveling to Madeira with kids, that’s one of the best Madeira tourist attractions to takem them too. Madeira has lots of cute little coastal towns, which are worth exploring. Find a local café and enjoy while time passes you by. The only market we had visited in Madeira was the one in Funchal. 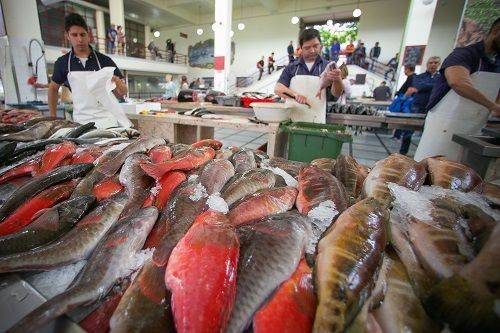 This market offers everything you can imagine, but the market is mostly known for its diverse offer of passion fruit and freshly caught fish and other seafood. Everyone who visited the Madeira stp there, so it is for sure one of the best Madeira tourist attractions. We were based in Funchal and that is why we were wandering around the city every day. We really liked the relaxed vibe and exploriation of the old town. There were lots of restaurants, cafés and bakeries where it is nice to stop, enjoy some local snacks and taking in the vibrant daily life. 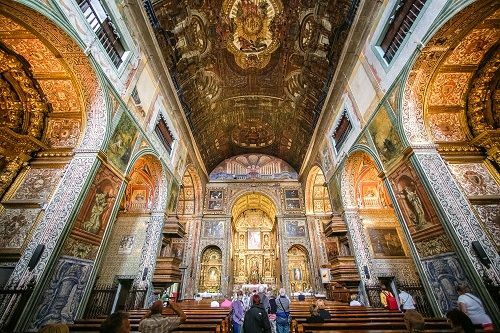 Don’t even forget about the tourist attractions like baroque churches (our favorite was Colegio Church), town hall, tidy streets, and wine tasting… You will not get bored for sure. But in general, just wandering around the streets can be out among best Madeira tourist attractions. As already mentioned, Madeira was made due to volcanic eruption, what can clearly be seen today – from outside and inside. 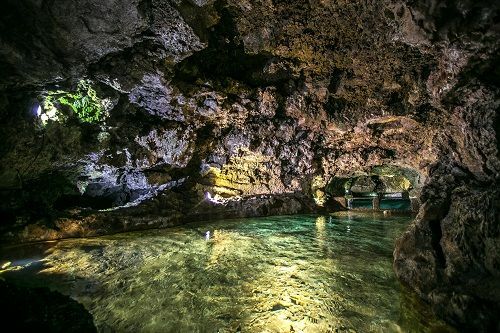 Make sure to visit volcanic caves and walk through lava tubes – try to imagine what a crazy time was during the eruption- very cool and educational too! One of our favourite Madeira tourist attractions when you visit the island for kids. Another visible sight due to volcanic origin are its lava pools on the northern side of the island. You can swim inside, but unfortunately we had bad weather, cold and strong wind, so we had to skip visiting the lava polls and we only were able to see them from outside. Next time is swimming time for sure! 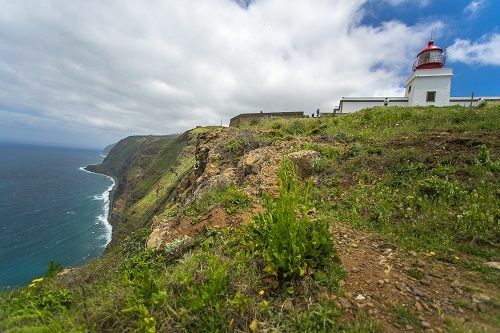 If you are looking for the best unique Madeira tourist attractions, you found them. Visiting these cottages will make you feel like finding yourself in the middle of a fairy tale. You will find them on the NE of the island in a small town Santana. You can also walk inside of them and find out more about local crafts and traditions. 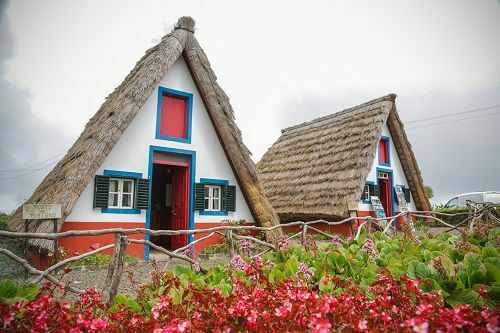 The cottages are one of the symbols of the island and that is also why almost no-one skip them when exploring Madeira. They are one of the most favorite Madeira tourist attractions for sure. It is said that Madeira is like one big botanical garden, but if you are really into flowers, make sure to stop at the botanical garden in Funchal. One of the Madeira tourist attractions which are extremely picturesque. Madeira has lots of outdoor activities, but one of them which is a little bit on a funnier side is traditional sledge ride from the Monte village. 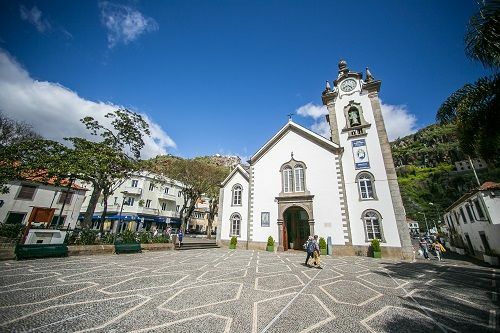 Everything starts at the foot of Monte church, where you find nice views over Funchal and where last Emperor Charles of Austro-Hungarian Empire is buried. 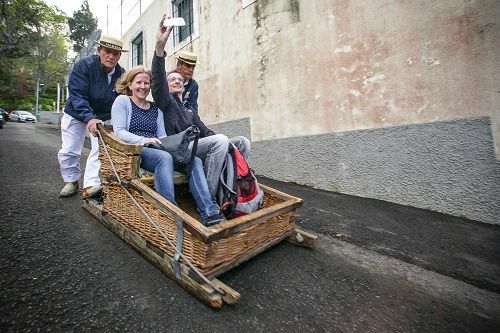 This one of a kind sledge ride is truly one of the most unique Madeira tourist attractions. 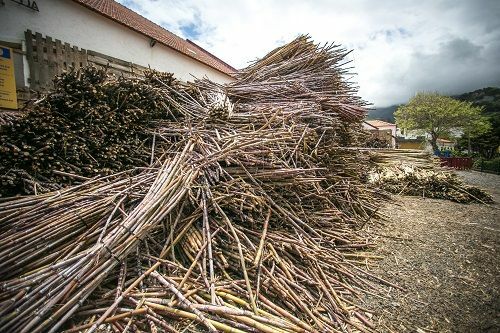 When doing a roadtrip around Madeira we passed by a town of Porto Da Cruz and noticed heavily loaded trucks with sugarcane. We were curious what is happening, so we went exploring. At the end we found ourselves at the foot of a local sugarcane distillery. It was open for visitors and they even had a tasting room to try all their products –from plain sugarcane rum to aged rum in barrows and traditional Poncha. If you want to bring part of Madeira home, buy the rum and bring one of the best known Madeira tourist attractions home. Some visitors cannot leave Madeira before going on cruise, looking for whales and dolphins. Due to wind and restless sea we decided to leave this trip for our next visit to Madeira. But people who did it, told us it was one of their favourite Madeira tourist attractions. Seeing these gorgeous animals just meters away from you is priceless for sure. Before our travel to Madeira we had no plans and were completely unprepared. We had no idea what Madeira offers to a curious traveler, so we have decided to divide the island on East, West, North and South. Each day we explored a different part of the island and were amazed how diverse the island is. 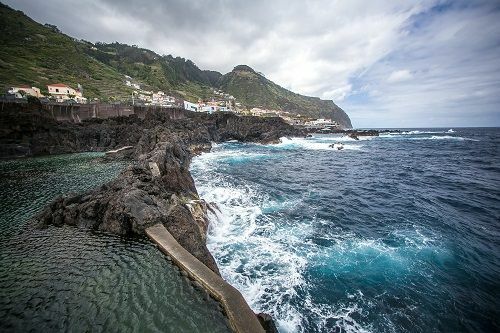 Even though we had no knowledge about Madeira tourist attractions, we came home richer in so many ways… and now we also know why Madeira charms everyone who gets to know this pearl of Atlantic – Madeira tourist attractions will for sure blown you away too.